With over 50 million downloads and 200 million minutes of game play each day, Angry Birds and its sequel Angry Birds 2 by Rovio have become two of the most addictive and popular mobile games of their time. While most other games struggle to maintain their place in the increasing app market competition, the two games are still top grossing. With Angry Birds, Rovio has produced some of the most impressive mobile growth statistics in the industry - $12 billion in revenue in 2012 and an estimated $50 billion in 2017. According to Rovio, their titles received over 3.7 billion downloads! So how did Rovio launch a game that became of the most successful games in the market? Growth strategizing. But it wasn’t just the launch of Angry Birds that made them successful. Since 79% of their revenue is tied to the Angry Birds brand, the company had to work on diversifying its titles to fuel their growth consistently in the market. When the competitors started releasing freemium games that made money through in game purchases, Rovio experienced an operating loss and had to downsize in 2015. But the growth started with the release of the Angry birds movie and some other games that were launched with the freemium model. The mobile app growth of Angry Birds didn’t stop with gaming revenues. The brand became so popular that Rovio was able to expand it into merchandising and even launch the Angry Birds movie in theatres. The first and foremost step to market an app, is prepare for the app store. 48% of users discover apps and games by directly searching for them using related keywords. That makes it crucial for apps to optimize for the store - that’s exactly what Rovio did for Angry birds. The app store name, logo, description and media is what can make or break a game’s impression on the user. Since Angry Birds had an eye catching logo that matched the concept of the game, people could register it instantly. Next is the description that Rovio keeps optimizing for Angry Birds. They don’t just let the people know what the game is about, but also highlight its key features, new updates and what others are saying about the game. A great idea is to include video previews on the app store. It lets the users get a look and feel of the game before downloading it. Monetization is another important aspect of mobile game optimization. 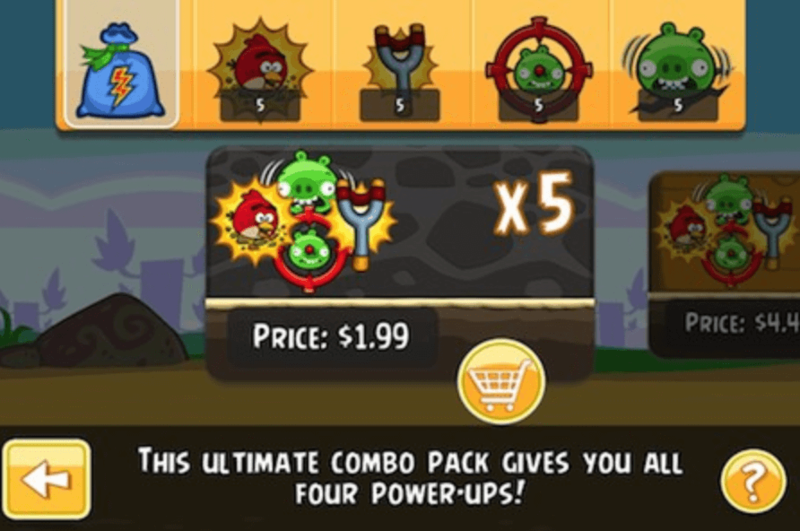 Angry Birds uses several monetization mechanics to support the development of the game and increase profits. Players can also use gem purchases to buy upgrades if they want to progress faster or if they run out of lives right before completing a level. Although players can earn gems from playing the game, people who want to progress faster will make purchases to keep playing or accelerate their progress. Investing in a game’s virtual economy causes people to play longer and return more often. Since money has already been spent, the player views the in-game currency as an asset that needs to be used. Incorporating volume discounts also increases the average purchase size. By spending just a little more money, players can get more gems at a lower cost. The store also has a featured item, which includes bonus items including feathers and spells. For $4.99, you can get 400 gems, but the featured bundle is $5.99 (only a dollar more) including 800 gems and bonus items like feathers and spells. This entices the players to spend that additional dollar to get more benefits during the game. Angry Birds also uses one time offers to its players. They use a simple popup to promote the same during the game; this usually includes upgrades at a low price. People can click on and watch in-game video ads to get rewards in Angry Birds. Since Angry Birds has a lot of users, advertisers are willing to pay to reach their audience. Since gems cost real money to purchase, players are willing to watch ads to get these gems for free. To make gems valuable to game players, the developers of Angry Birds 2 created various ways to spend gems. Mini games are unlocked as a player progresses through the game and each mini game offers rewards like feathers to upgrade your birds or the chance to win more gems. 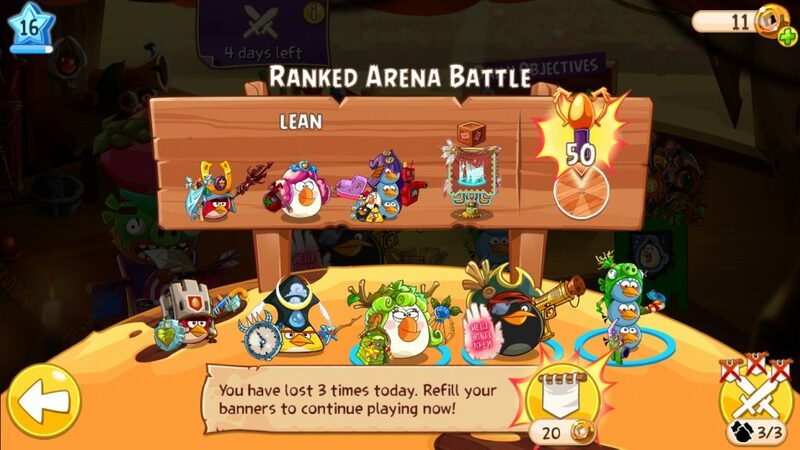 Arena mode allows players to play against each other and the person with the most destruction points wins the reward. A ticket is required to play once, so players can only play Arena a limited number of times - unless they spend gems to buy more tickets. Angry Birds 2 incorporates a lives mechanic. Each player starts off with 5 lives and loses a life if they fail to complete a level. However, players get a free life every 30 minutes. If a player loses all their lives and wants to keep playing without waiting for 30 minutes, they need to purchase gems for extra lives. The lives mechanic was created in a way that it is not too punishing for free-to-play players, but enticing enough for pay-to-play players to spend a little money in the game. Angry Birds 2 also has an ‘extra moves’ feature. Sometimes a player will get close to beating a level, but there might be one structure or pig left after all their birds are used up. The player can spend gems to get one more bird to try to complete the level instead of starting all over again. 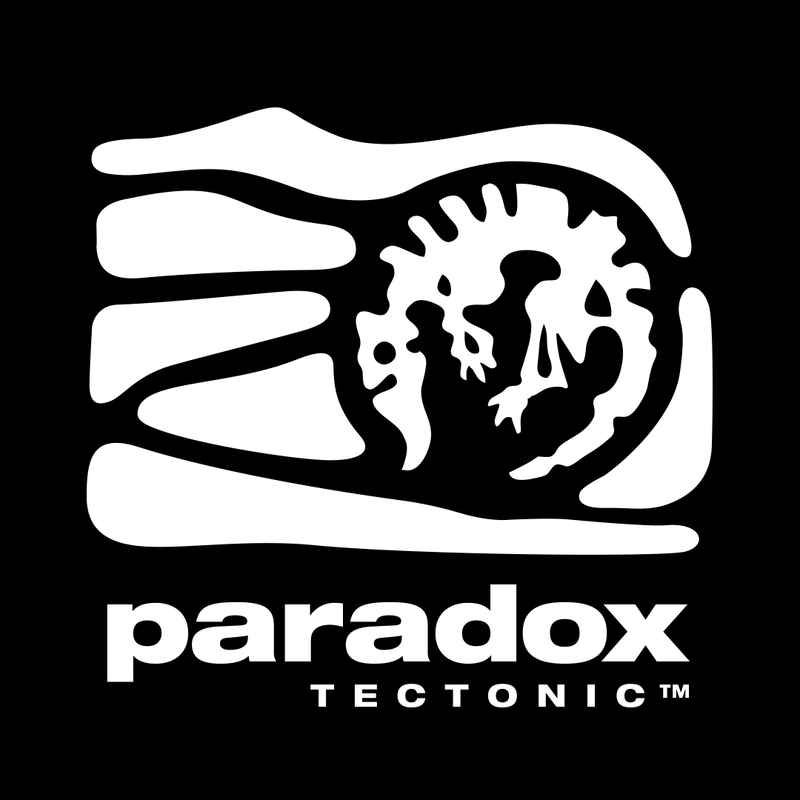 Allowing the player to purchase the extra move saves them the frustration of having to start all over again, improving their in-game experience. Chests contain a group of cards and the player can flip one over to get a reward. The game offers a free chest with a common reward, but also offers rare and legendary chests that can be purchased for gems for even better rewards. Spells make it easier for players to beat harder levels on Angry Birds 2. For example, the blizzard spell freezes all the structures so that they are easily destroyed when hit by birds. Players can win spells by playing the game, but they can also purchase them with gems if they want to make faster progress. Angry Birds is addictive because it has a simple game play and could easily become a part of the user’s break time. People can play the game while they are waiting in line or bored. Here’s a further breakdown of some of the elements that contribute to the addictiveness of the game. Visual design is an important aspect of mobile apps and gaming in general. For mobile devices in particular where the screens are small, the graphics have to be appealing, but not too complicated. Angry Birds succeeds in visual design by incorporating design simplicity with their appealing cartoon characters. The design is intuitive and the games also feature interactive tutorials that help in onboarding the players effectively. 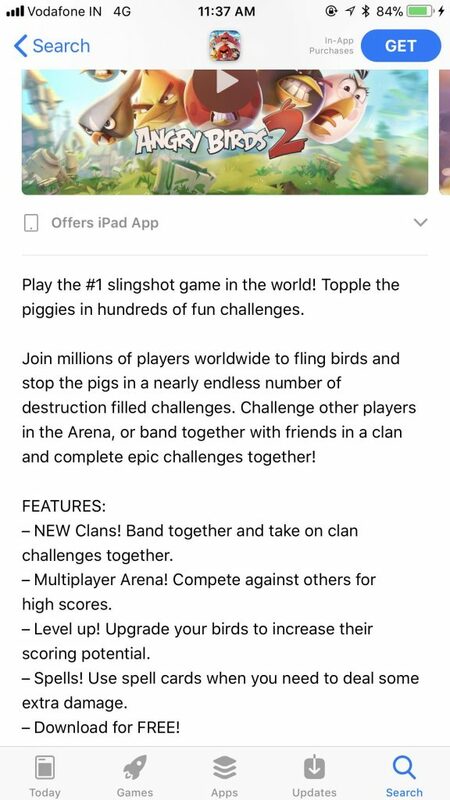 Angry Birds 2 makes even more progress in this area by incorporating text instructions as well as better graphics and user interface. The simplicity of the design also makes the characters memorable. Being able to add these characters to T-shirts, mugs and other merchandise allows the Angry Bird branding to spread even further. Research shows that music adds an emotional component to movies, TV shows and games. Sometimes we even watch movies or play games again, partially because we enjoy listening to the music. While the sounds used in Angry Birds are very simple, they are associated with the different characters. This further enhances the interaction and the gaming experience for the player. We’re pretty sure you have the Angry Birds music playing in your head right now! Perhaps one of the most important reasons that the Angry Birds series became so successful is the game play mechanics. Angry Birds 2 struggled when it was first launched by Rovio, but the company analyzed successful competitors and implemented new features to make their game even more addictive. - Time based bonuses: Angry Birds 2 incorporated daily login bonuses as well as bonuses that you can claim every 30 minutes. These free bonuses encourage users to log into the app more frequently. - Progress based rewards: Hitting certain milestones can grant more rewards to help you build your birds. For example, you can get rewards for unlocking 10 chests and unlocking new birds. - Mini games: Incorporating other easy to play mini games makes the game even more fun. Mini games make the game less boring and tedious by adding variety. The rewards from these mini games contribute to progress in the main game. - Character and slingshot leveling: Being able to level your birds and increase the points you get from them also makes the game more interesting. You can also upgrade your slingshot when you win enough party hats from chests to get a full set. - Level mastery rewards: You can earn up to 3 stars for each level if you beat it the first time without losing lives. The level mastery reward encourages people to play the same level more than once to get all the stars. - Randomized floors: Another neat feature of Angry Birds 2 is randomized levels. You can play the same level twice, but the layout will be different each time, which leads to a more entertaining experience even if you play the same level again. Social features are what keeps a player hooked to the game. Players are occasionally prompted to connect their account with Facebook and invite their friends to play the game. In doing so, they receive gem rewards, which they can use to buy in-game items to further enhance their gaming experience. Having friends that play the same game also encourages the players to come back to the app more frequently. Merchandised products make for almost 50% of Rovio’s revenue today. People can purchase the Angry Birds apparel, backpacks, plush animals, collectibles and even DVD’s. The mobile game links out to their e-commerce web store so that fans can easily shop for Angry Bird merchandise. Due to the exponential growth of the app market, marketing a mobile app has become a challenge - especially for indie developers. Every little aspect of the game - starting from the design, game play, referrals and more needs to be looked into on a day-to-day basis, and optimized for better conversions. Time based rewards will not just keep users coming back to check for them, but also create a sense of urgency. While a typical user might come back to your app every alternate day, these kind of offers might draw him in every day. People are drawn to simplicity, especially when downloading a new game. One of the reasons that Angry Birds became so popular was that it was easy to understand how to play the game. The best way to ensure that your users understand the game, is to focus on the onboarding. Don’t let monotony set in for your players. Give them some variety by simply creating more mini games every now and then. Let them discover a different aspect of your game, win more rewards for the main game and see them get hooked to it in no time. Let your players feel the progress every time they have a gaming session. Leveling up is a smart tactic that is being used in Angry Birds 2 and also role play games like World of Warcraft. Even though Rovio struggled initially, their growth seems unstoppable now. The one thing that they owe their success to is constantly benchmarking against other games that interest their target players. This enables them to pivot and add features that will keep their churn rates at bay, and also make the app more interesting for the users. When launching a game, it is important to focus on brand awareness. Instead of just running social advertisements to promote the game, think out of the box. Rovio saw that its players enjoyed the characters even while not playing the game. So they turned to include merchandising in their strategy. This quickly escalated their growth. While we’re going to be keeping a tab on the top grossing games and the strategies they use to remain at the top, it is time for you to get back to the whiteboard and re-strategise. 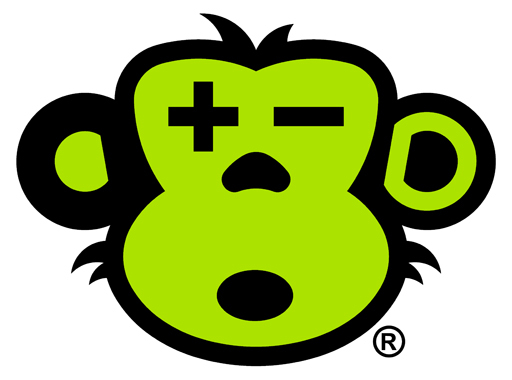 Making design and user engagement a priority, you can ensure that your app or game doesn’t fail like the dotcoms!